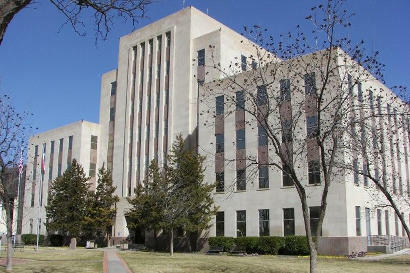 Lubbock County Courthouse, Lubbock Texas. replaced by the modern-style building in 1950. 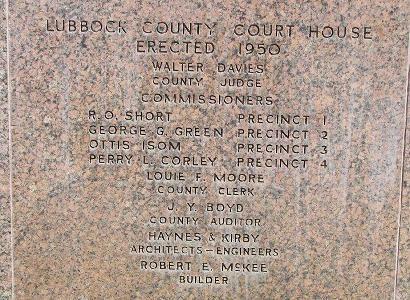 By 1915, the growth and prosperity of Lubbock County required the construction of a new, more modern courthouse. Begun in November of 1915, the substantial stone structure was built in the Classical Revival style, at a cost of approximately $100,000. In addition to the county offices and county and district courts, the courthouse contained a number of state offices and agencies. 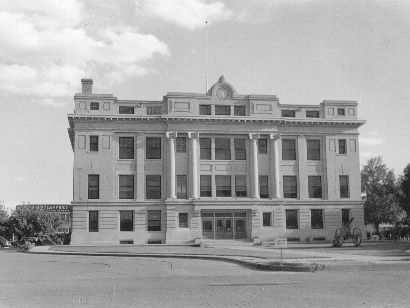 After the city of Lubbock was incorporated in 1909, city offices were housed in the courthouse until City Hall was constructed in 1923. 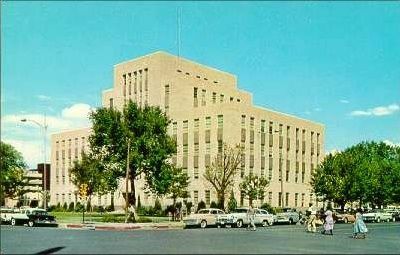 In 1950, a new Lubbock County Courthouse was built to the west of the second courthouse. However, it became evident as construction progressed that the old courthouse was needed for offices for various state agencies and related activities. Thus, the 1916 courthouse remained until 1968, when it was demolished and Avenue H opened through the two-block public square. 1915 Lubbock County Courthouse and jail. 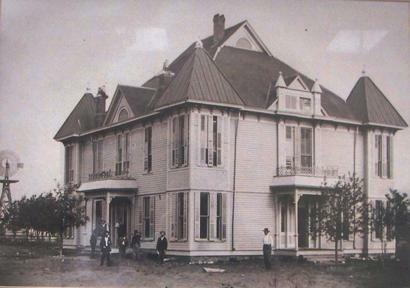 "This photo of the 1891 Lubbock County courthouse is hanging in the lobby of the current courthouse." 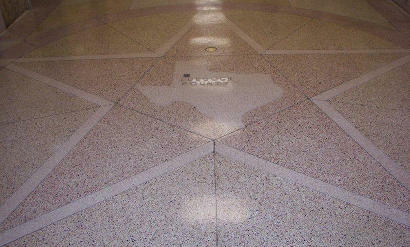 (This) courthouse was constructed in the center of the square bounded by South First (now Broadway), North First (Main), Cedar Street (Texas), and Chestnut Street (Avenue G), at a cost of approximately $40,000. .....When construction began on a new courthouse on the public square in 1915, the old courthouse was moved to the southwest corner of Tenth and Avenue G.